A tour operator could be a private individual but it could also refer to a company that organizes a tour package(s) or holiday(s) for the public to patronize. Sometimes, they themselves put together a holiday or tour package but other times it is put up by others and the tour operator only sells the final package to the public. One of qualities of a tour operator is that he or she must be an honest person. Also his or her company must deal honestly with the public. The information that is put on a tour brochure must be true to the word. The realities on the ground must not be a far cry from what is advertised. Where there are unexpected changes the tour operator must be honest about it and explain to the clients. A good tour operator must have ICT skills. The world is now technologically advanced in many fronts including the world of tourism. Tickets could be bought online, reservations can be made online, advertisements can be made online and a host of other things can be accomplished online without having to move an inch. He or she also needs to keep records of the company’s activities and this can be done on the computer. A good knowledge of computer and the world-wide-web will therefore be useful to the tour operator hence the need for him to be computer and internet literate. The tour operator must possess marketing skills. He must be able to market his tour package in order to attract clients. In the midst of the stiff competition in the industry, without the skills of a marketer, the tour operator would find it very tough to stay above water. The tour operator must have good public relations skills. The tour operating company deals with different kinds of human beings with different backgrounds and levels of exposure. The tour operator must therefore enhance all the positive stories about their operations to the public and minimize any negative stories about their work, if possible, prevent such negative stories from getting into the public domain. Another quality of a tour operator is that the company must be in a good financial position. It must not be financially distressed. 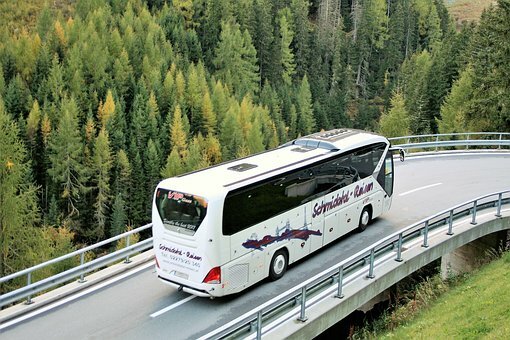 Operating a tour business can sometimes be capital intensive, especially, if one must pre-finance it so being in good financial position helps the company. A tour operator must be time conscious. Tour buses must depart at the appointed time, people must reach their destinations at the time advertised etc. Hotel arrangements must be top notch so clients can be checked into their accommodations on time. b. Highlight six qualities of a good tour operator.